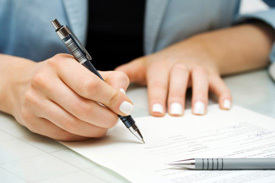 At Cutbirth & Sanderson General Dentistry, we understand that no one enjoys filling out a stack of new patient forms. That is why we have eliminated all but the four forms that are absolutely necessary for us to treat you and your family safely and effectively. The following forms can be completed printed and completed before your first appointment. This will allow you time to complete the forms at your leisure and save you time the day of your appointment. Thank you for your cooperation, and if you have any questions, please contact us and we’ll be happy to help.